Looking for private in-home or in-studio Broadway Singing lessons? Our Catalina teachers are ready to get you started. Find your teacher today! Check out some of our most popular teachers near Catalina, AZ including Tucson, Sahuarita and Marana. Learn to sing with ease and be audition ready and confident! Arizona opera productions of Sweeny Todd, three penny opera including multiple speaking lines and solos. I am comfortable with a wide variety of Broadway repertoire and have several books in my library for the interested student to peruse. I have performed as a soloist in community theater renditions of Broadway productions such as Les Miserables and Joseph and the Technicolor Dreamcoat. I have a lot of experience in operetta and musical theatre styles of singing, and I am comfortable teaching belting, legit, or other styles. e is unnecessary tension or problems in these areas, this can hold students back from truly enjoying singing. 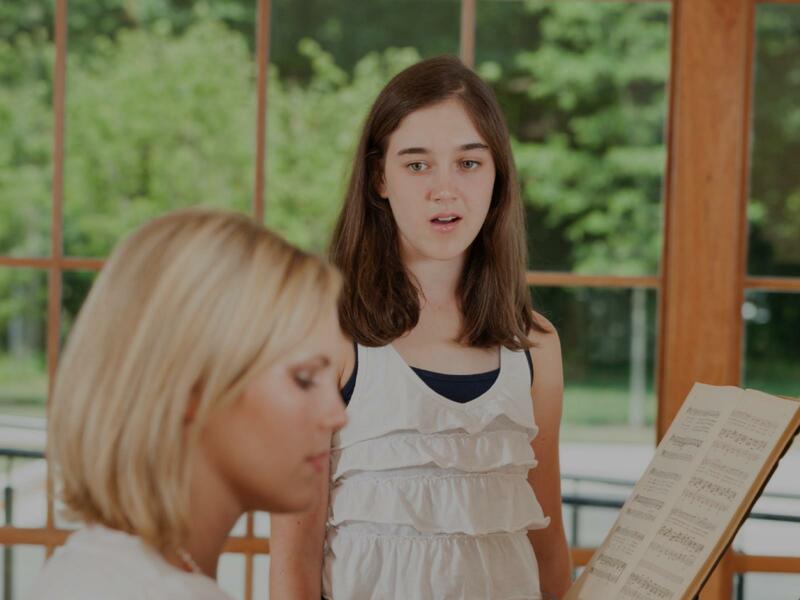 Kate is very knowledgeable, and was able to very quickly pick out specific areas where I can improve in my singing. In addition, she has specific exercises and techniques for strengthening the voice and reversing harmful habits, and I found these to be really helpful and effective. I am excited to see the results of lessons with her over the next few months! My daughter enjoyed her first lesson, she thinks the warm ups are fun. The "Broadway Sound" has changed over time - from almost operetta-style classically trained voices (Rodgers & Hammerstein) to the classic broadway belt (Ethel Merman, Judy Garland, Liza Minelli) to the current vogue for rock/r&b styling (Mamma Mia, Hamilton) or "speech level" singing (Wicked, The Last Five Years). And as a musical theater singer, you need to master them all! Work with me to develop these different vocal styles, and build up your repertoire and audition book! to suggest songs that they care about. Good technique(s) can be applied to any repertoire! As a professional pop/rock singer songwriter and musical theatre performer, I love infusing my teaching with techniques, warm ups, and insights that I've learned over the past few years (and even use myself). I have a BFA in Musical Theatre and have taught beginning piano and voice for the past year. Whether you're interested in singing pop, rock, standards, or Broadway, I will tailor lessons to meet your needs. Shoot me a message if you're interested, and we can set something up! Can't find a teacher in Catalina, AZ?